Last week was the unofficial start of summer, my favorite time of the year. 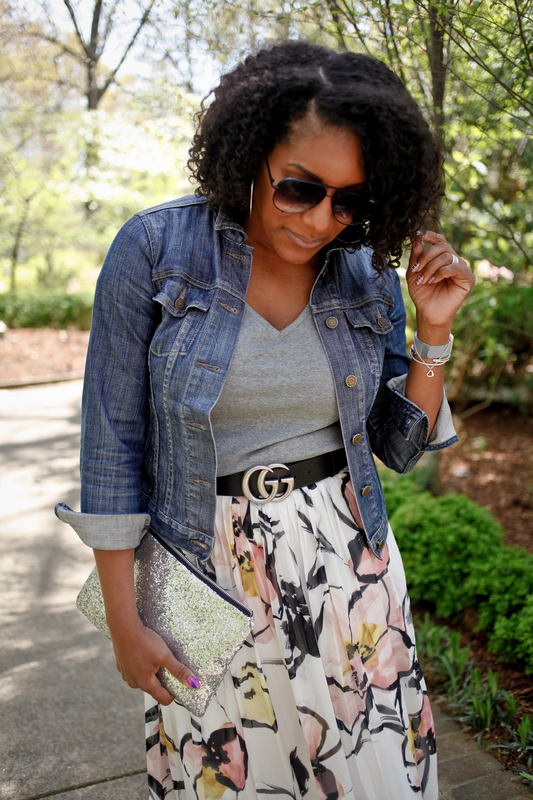 Although I would’ve liked to enjoy a little bit of spring, I’m a summer girl to my core and glad to see the temps have finally warmed up after the long, drawn out winter we had. The sun is out and of course that means, sundresses, sandals, and übercute rompers to help beat the heat. 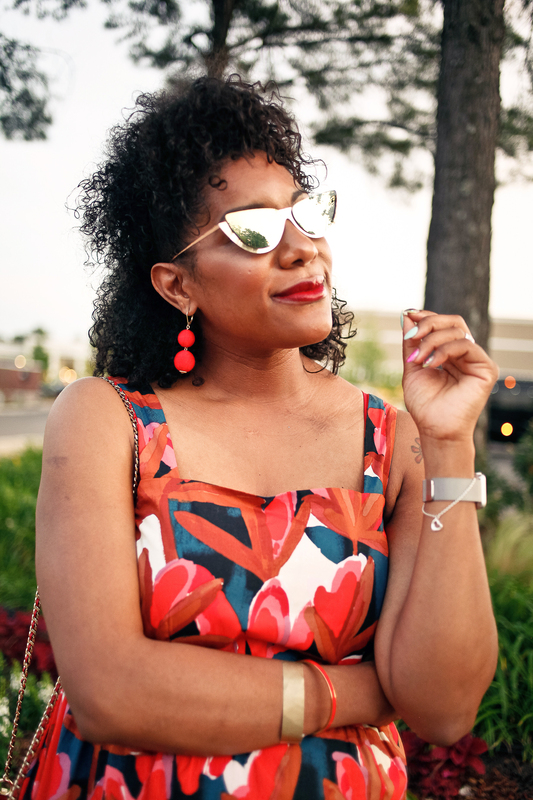 I don’t think any summer ensemble is complete without a dope pair of sunnies. 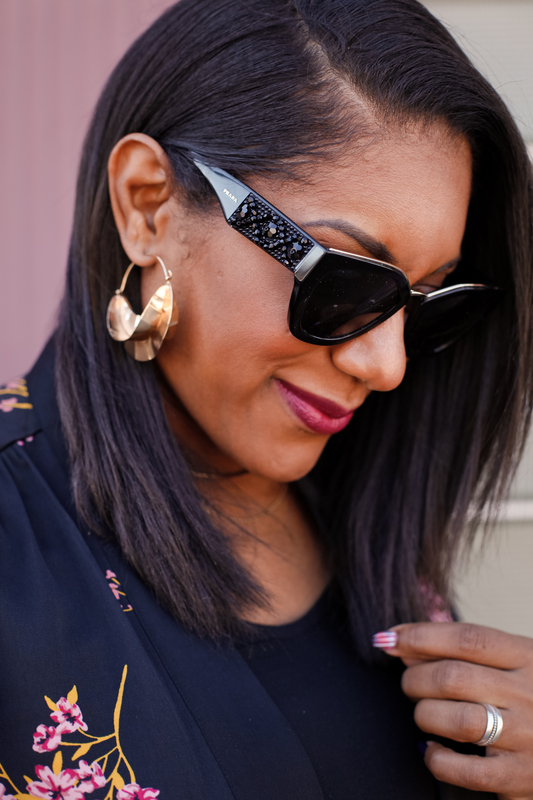 Sunglasses are a wardrobe staple for me no matter the season, so I’m always looking for cool styles at a great price. I tend to gravitate towards designer brands because I’ve found that I keep up with them better than a basic $20 pair. They come with a signature case (most of time) and all of the bells and whistles like cleaning cloths. They may not be “new-new”, they’re new to me and fly to me so I careth not. My favorite brands: Prada, Tom Ford, Chanel, and Quay Australia. I don’t pay full price for any designer pair over $100, and I have a few spots that I go to to find cool sunglasses at a fraction of the cost. Of course, I’m sharing them with you. Check them out below. I can always find gems here. It’s sometimes hit or miss, but anytime I’m in a city with a NR, the sunglass section is my first stop. Another place I must visit when outlet mall shopping. The sunnies here are at least 50% off, and I could spend quite a bit of time trying on different styles. Although tempting, I try not to leave with multiple pairs. Now, here you can find cool, trendy sunnies without breaking the bank. They also carry brands like Marc Jacobs, Ray-Ban, Quay Australia, and more. According to Q, summertime fly definitely includes a hot pair of sunglasses. Doesn’t matter if you are the classic Ray-Ban wearer, the trendy Gucci gal, or the lady who loves them all no matter the label, don’t get caught in this summer sun without a chic pair of sunnies to top off any outfit. Cheers to summertime fly and the sunnies that keep us cool!